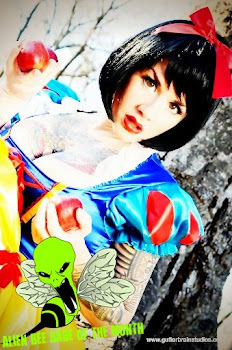 Mondo is wrapping up 2011 with a bang, or might I say a bite! 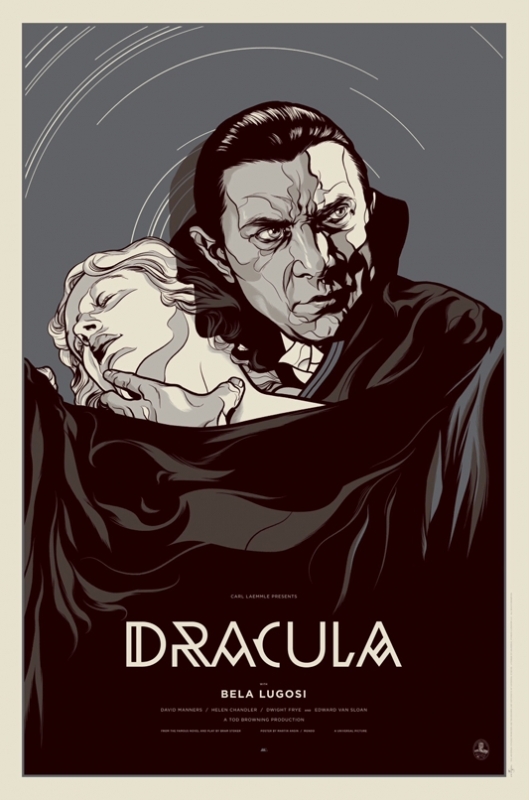 On Friday, December 30th Mondo will release these new DRACULA prints by artist Martin Ansin and featuring the greatest Dracula of all, Bella Lugosi. First up is the blood red regular edition. 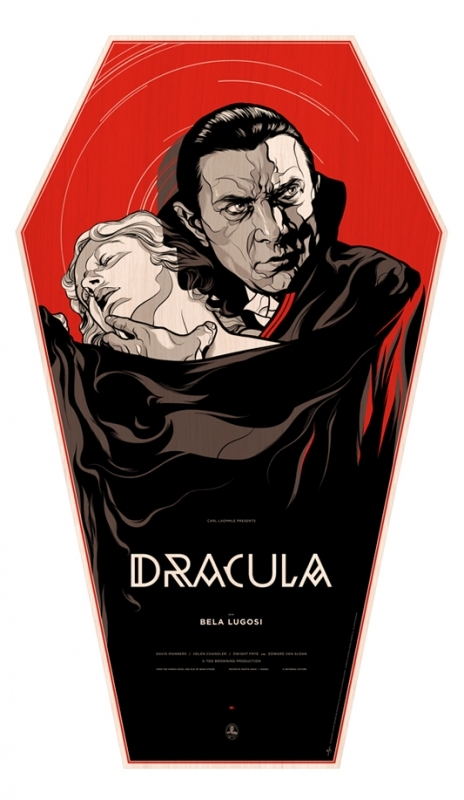 Second, is the metallic ink black and white version and finally a special Transylvanian coffin shaped poster on wood with a very low edition. These will sell out fast! Follow Mondo on Twitter for the on sale announcement. 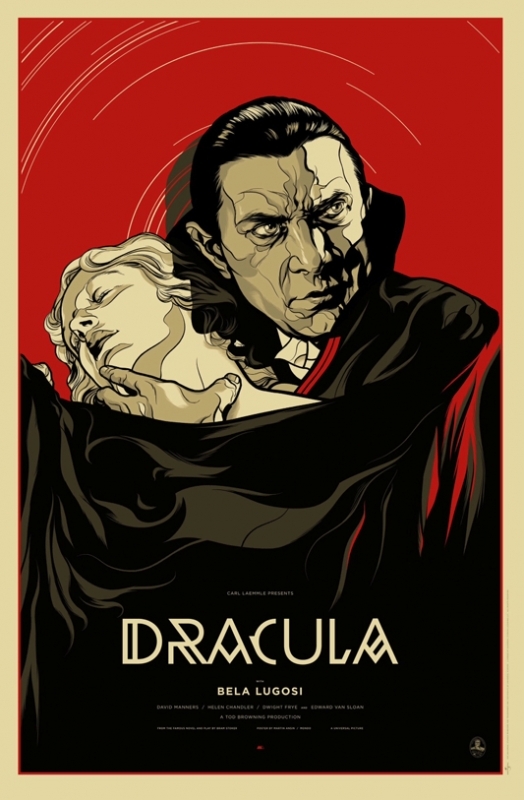 These posters will be available online at a random time on Friday, December 30th.